Prudential Financial Company has been helping people meet their financial goals for more than 135 years. 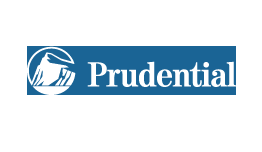 The Prudential Friendly Society was founded by insurance agent John Fairfield Dryden in a basement office in downtown Newark, N.J., in 1875. It was the first company in the U.S. to make life insurance available to the working class. The company sold Industrial Insurance, which provided funeral and burial expenses for low-income families, with some weekly premiums as low as three cents. Four years later, Prudential’s sales extended beyond New Jersey, into New York City and Philadelphia, and the company’s customer base expanded to the newly emerging middle class. With growing sales, assets reached $1 million, and in 1885, the one-millionth policy was sold to John Dryden. Renamed “The Prudential Insurance Company of America,” Prudential later adopted The Rock of Gibraltar as its company symbol, reflecting the strength and security it offered to customers. A lot has changed since 1875, but not their commitment to helping people achieve financial security and peace of mind. For more than 135 years they have demonstrated that they know what it means to keep the promises and commitments they make. They have built their company on their proud heritage of life insurance and asset management expertise. Today, they offer individuals and institutions in the United States, Asia, Europe, and Latin America a wide array of financial products and services, including life insurance, annuities, mutual funds, investment management, and retirement related services.